4-CD box (LP-size) with 52-page book, 113 tracks. Playing time approx. 264 mns. 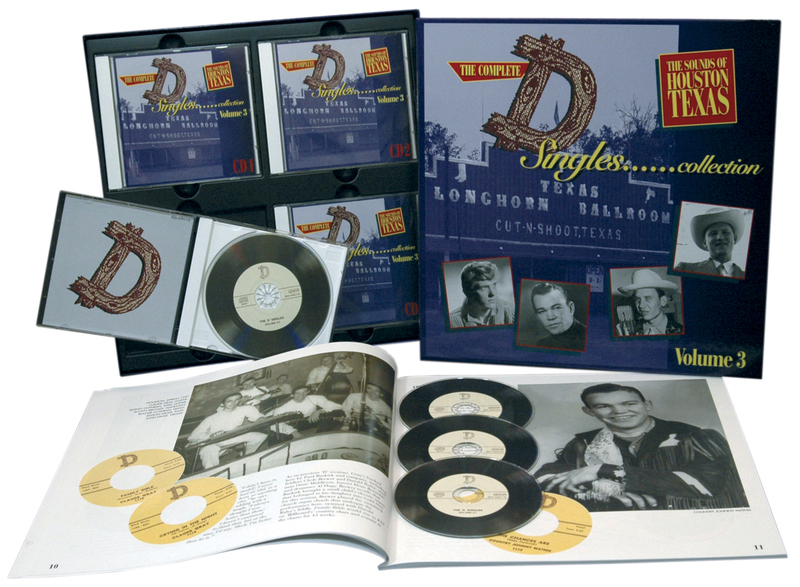 Pappy Daily's 'D' Records is one of the great untold stories in hillbilly, rockabilly, and Texas dancehall music. The four CDs in this -- the third volume in the complete 'D' retrospective -- covers the period from October 1959 to August 1960. 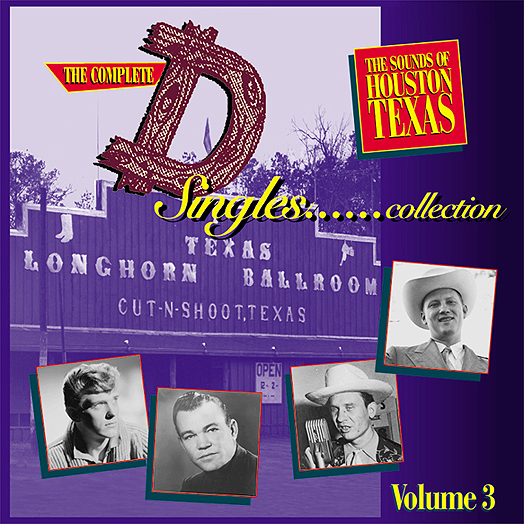 The focus is squarely on the fabulous east Texas honky tonk sound, and this set includes such 'D' classics as Claude Gray's Family Bible (a Willie Nelson-penned Top 10 country hit), Hardrock Gunter's Jumpin' Mule, Bill Mack's John's Back In Town (written by and featuring Waylon Jennings), and early Willie Nelson, featuring unissued takes of Night Life and Rainy Day Blues. In addition, there are the great unknowns like Country Johnny Mathis, Ray Pressley, and Eddie Noack on peak form, as well as rare Cajun singles from Link Davis and Harry Choates. This set includes a 52-page book by Kevin Coffey, with many previously unpublished photos. 03 Traveling HARDROCK GUNTER & POP CORN P.
04 Jumping Mule HARDROCK GUNTER & POP CORN P.
Customer evaluation for "Vol.3, The Sounds Of Houston Texas (4-CD)"